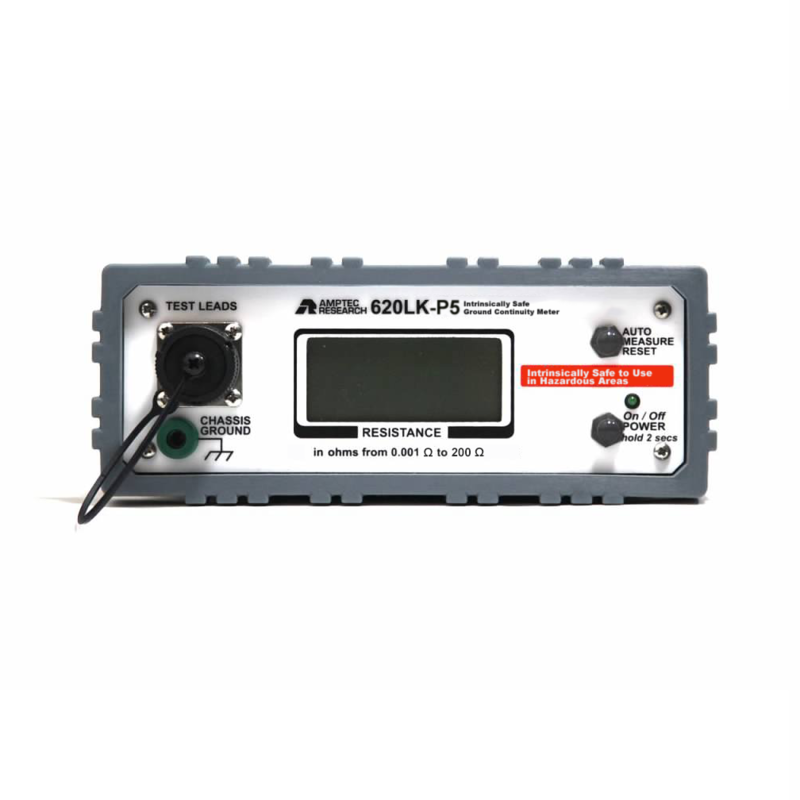 The AMPTEC 620LK-P5 is an affordable, highly accurate, and intrinsically safe ground continuity meter. 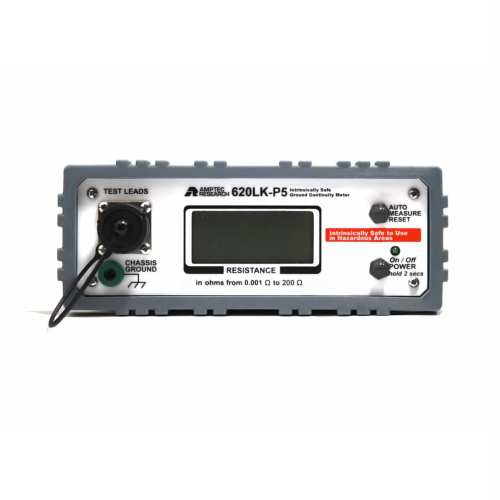 The 620LK-P5 is very user-friendly, as it automatically reads the continuity between the earth ground and the part under test to determine if the ground is satisfactory. The 620LK-P5 comes from a long lineage of ultra-safe testing equipment.